UAE is known all over the world as a shopping and luxurious tourist destination, but it also boasts of quality institutions offering career opportunities in management, finance and engineering. Students aspiring to study in UAE are aware that while being home to well-known domestic universities, the higher education space is covered by branches of top rated universities. With a population of 9.2 million including only 1.4 million Emirati citizens, studying in UAE can be an attractive prospect for international students seeking a global experience. UAE is one of the fastest growing economies in the world, fueled by growing trade and tourism. This presents a great opportunist to students from India to make a career in commerce and finance in an economy filled with opportunities. Students can work after study in UAE, getting a job in one of the growing sectors. Studying in UAE can be a gateway for students aspiring to experience the culture of middle east which is brimming with possibilities in business and hospitality sector. The United Arab Emirates or the Emirates is a monarchy sovereign state in Western Asia. Located at the southeast end of the Arabian Peninsula, UAE borders Oman to the east and Saudi Arabia to the south. Oil reserves of UAE are the seventh-largest in the world while its natural gas reserves are the seventeenth-largest. These factors along with the location makes UAE one of the trading hubs in the middle east and a regional and middle power. The country is a federation of seven emirates where each emirate is governed by an absolute monarch; one of the monarchs is selected as the President of the United Arab Emirates. The UAE's economy is the most diversified in the Gulf Cooperation Council, being less reliant on oil and gas in the coming years and economically focusing on tourism and business. The most populous city of UAE, Dubai, is an important global city and an international aviation hub making it an attractive destination for students aspiring to study in UAE. The first four Higher Colleges of Technology (HCT) opened in the late 1980s to study in UAE. Despite opening recently, UAE boasts of eight universities listed in the QS World University Rankings 2019/18. Two more universities have been added to the rankings and all of the universities have moved up which is indicative of the level of growth in higher education quality. Khalifa University maintains its pole position, moving up in rankings by 130 positions. 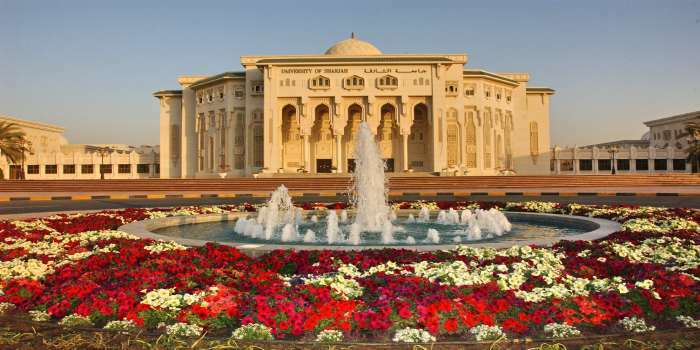 The glamorous region also boasts of top international university campuses, including, American University of Sharjah, Heriot Watt University, London Business School and Cass Business School, to name a few. For students aspiring to study in UAE, top universities like United Arab Emirates University, American University in Dubai etc come with other benefits like being part of a rich and happening cultural scene along with an exposure to an international crowd. Emirates is increasingly being seen as one of the attractive study abroad destinations among foreign students aspiring to study in UAE. For students aspiring to study in UAE from India, applicants must research whether the programme is available in the universities. Media and communication courses in UAE are increasingly becoming popular among foreign students. To study in UAE, known for its engineering and management programmes, one must understand the admission cycle which is a big part of the admission process. After deciding to study in UAE, students must know when the application opens and closes for their favoured universities. Majority of universities in UAE have similar application processes, but the application deadlines may vary depending on the universities and programmes. Students aspiring to study in UAE from India are advised to visit the respective websites of Universities they are applying to. Early admission: From April 8th 2018 till Jun 5th 2018. Regular admission for medical colleges: From Jun 24th 2018 till Jul 12th 2018. Admission cycle in UAE is similar to western countries: fall, spring and summer. Fall semester attracts the major chunk of international students aspiring to study in UAE. The fall session to study in UAE commences in September or October. Students aspiring to study in UAE from India are recommended to start researching a year prior to the joining date. Spring session to study in UAE starts in January and requires the candidate to prepare ahead. If an applicant needs more time, fall semester is more feasible for students aspiring to study in UAE. For students wanting to study in UAE from India, fall semester has an added advantage of being in line with the Indian academic cycle. Once the process of applying has begin, students aspiring to study in UAE can take the required standardised tests like TOEFL, IELTSor SAT. A few universities that offer Rolling Admission, under which applications are accepted as long as seats are available in the university. For instance, American University in Dubai accepts application for its PG programme throughout the year. However, these range from university to university and the specific courses on offer along with the availability of seats. Thus, students wanting to study in UAE should keep in mind that universities in demand rarely have seats left after the fall and spring intake. Prepare the application package and get you test scores. Prepare your finances, explore scholarships and apply for education loans. Hospitality and hotel management courses in UAE are attracting attention because of the growing service industry. The eligibility criteria for students aspiring to study in UAE for distinct levels of study differ in terms of educational qualification, countries of applicants and the universities applied to. A senior secondary certificate makes one eligible for Bachelors and a 3-4 years of undergraduate degree makes an international student eligible for Masters. The academic requirement for admission to study in UAE includes scores of English proficiency tests like IELTS or TOEFL. Students applying to study in UAE for MBA programmes are required to have good scores in GMAT. In addition to academic requirements, students need to submit letter of recommendations and GRE scores in certain cases. Test scores- GRE, TOEFL, GMAT, IELTS – Applicants aspiring to study in UAE are required to submit standardised test scores. Recommendation letters - Letters of Recommendations from previous academic mentors or employers are used to gather additional information about a candidate. Academic Transcripts- To study in UAE, applicants are required to submit previous academic transcripts for their respective degrees. Statement of purpose- Many universities require a Statement Of Purpose (SOP), an essay that is send along with the application, for admission to their programmes. This is a good opportunity for the applicant to talk about his/her strengths and the reason for choosing to study in UAE. –Recommendation letters as required by the individual programs. TOEFL or Academic IELTS or EMSAT. To study in UAE, tuition fees vary as universities set their own fees. One of the interesting features of being able to study in Emirates is that tuition fee is typically low compared to other major study destinations. This can be attributed to Emirates being an emerging destination. Programme fees vary depending on the university and the courses, undergraduate or postgraduate. The cost for a master’s degree range from around AED 48,000 (~US$13,070) to a AED 120,000 (~US$32,670) for some specialized graduate programs. Family Sponsored Dubai Student Visa - Students attending an educational institution may be permitted to apply for their UAE study visa application based on the sponsorship of their parents. This option is open to full-time students. Sons must be under the age of 18, while unmarried daughters can be of any age. Educator Sponsored Dubai Study Visa – Full time students can be sponsored by their educational institution if the institution is qualified to do so. This type of UAE study visa allows students to obtain a visa for the duration of their course. Short Stay Dubai Student Visa - For a shorter period of studies students have the option of applying for a short-term Dubai student visa. This grants a stay of 60 days which can be renewed as needed. For higher education full time courses, Educator Sponsored Dubai Study Visa is the most common and easy method of getting a visa.The UAE study visa for international students is facilitated by the university which the applicant has been accepted to, for the duration of the programme. Students can directly send their documents to the university which start the UAE study visa process after the acceptance of student to the programme. This process should start at least 1-2 months prior to the start date, so that applicants can take care of other aspects of studying in Emirates. Visa process time for UAE study Visa is stipulated to be around 15-20 days, which varies slightly from university to university. Express processing, which costs more than normal processing but is done within 10 days, can be chosen by international students wanting to study in UAE; this facility is available at most universities. The UAE study visa does not require international students to appear for a separate visa interview. Students aspiring to study in UAE might be asked basic questions at the time of application and at the time of landing in Emirates to get their UAE study visa on arrival. UAE study visa is valid for a period of 12 months after which it has to be renewed if the programme is longer than that period. For renewal, students studying in UAE have to fill a visa renewal application form and submit the same with their universities. International students have to submit their visa renewal documents at least a month prior to the date of UAE study visa expiry. Students will be charged a visa renewal and health insurance fee. c. The student has failed the medical test which is required under the Student visa application process. International students studying in UAE can take up off-campus work. However, this would require permission from the university. In case of a university sponsorship, students can approach the UAE Labor department to obtain a permit to take part-time jobs in Emirates. This can be beneficial as students while earning money can also get some experience. Cost of living depends on the lifestyle and the city the student is living in. Cost of living in Dubai and Abu Dhabi, for example, is higher compared to other cities. Since Dubai is one of the main cities and a major hub of higher education institutes, the costs of living there have been shown below. Accommodation - The student can opt for living in the university accommodations or rentals. The cost of rentals also depends on the number of people it is shared with. Top universities have limited seats for accommodation and hence students wanting to study in UAE should apply for housing early on. While studying in UAE, transportation is a necessity. The prices of gas are very cheap and the monthly ticket to public transport costs around 293 dirham. Food costs are highly variable depending on the number of meals in restaurants and the location of the student. Best places to live and study in Dubai – Find out about places, accommodation & other expenses.